From 1968’s merger of design and industry, 2010’s peek into design and the public sector, and 2013's celebration of strategic design, HDL Global offers a platform for collaborative efforts at the intersection of design and government. 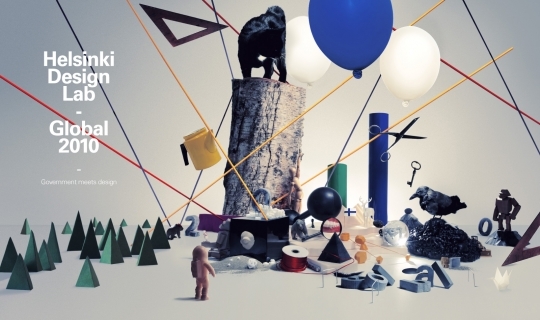 In 2013 we said moi moi ("goodbye") to Helsinki Design Lab with a closing event that started as a conference and ended as a celebration of five years' effort. 116 people joined us for this event. More images on our Flickr and on Twitter. During 2012 we focused on Stewardship: the way that individuals and teams meet their goals, weathering along the way whatever surprises and unexpected events may come up. We hosted a group of about 30 people for the fourth HDL Global event to review these in-progress case studies. More information in this blog post and more images on our Flickr. We hosted a group of international participants for the third HDL Global event that focused on Government Meets Design, an exploration of the intersection of these interests. During three days together in September, we shared the in-process results of our HDL Studios from 2010 and heared from some of the leading practitioners of strategic design throughout the world. More information at http://2010.helsinkidesignlab.org and more images on our Flickr. Forty years after 1968, in collaboration with the Tapio Wirkkala - Rut Bryk Foundation, HDL 2008 was held in commemoration of the first Helsinki Design Lab event to discuss the potential of design in our contemporary era.Over the course of three days in June of 2008, a group of 108 people from around the world, each a leader in their respective field, converged on Helsinki to discuss the potential of design in the 21st century. On February 29, 1968 a young group of engineers, designers, and architects approached the newly established Finnish National Fund for Research & Development (now Sitra) for support in organizing a summer seminar focused on the changing role of design. This was a reaction to the craft based tradition of design and the growing need to develop an industrial design-based approach to developing products and services. 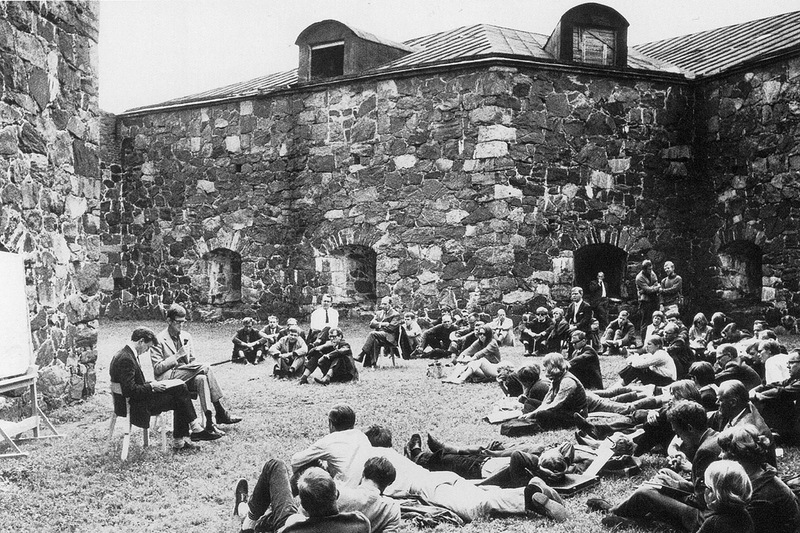 The Industrial, Environment and Product Design Seminar (Helsinki Design Lab 1968) ran in two sessions on the island of Suomenlinna bringing together a diverse and rich group of minds. Included were Buckminster Fuller, Victor Papanek, Kaj Frank, Christopher Alexander, and Antti Nurmesniemi to mention only a few. The challenge was to examine the emerging needs of a new world: Differing perspectives would need to come together in defining a new kind of design, one that could more effectively address the problems of its day.This new definition of design brought together “engineering, human factors, production, and sales” knowledge, interfacing it with “technicians, doctors, psychologists, [and] economists”. In 1968 Sitra President Klaus Waris saw the need for the fund to support—especially in research that connected technical, industrial, and governance areas—activities that fell into a sort of “no-man’s land”. 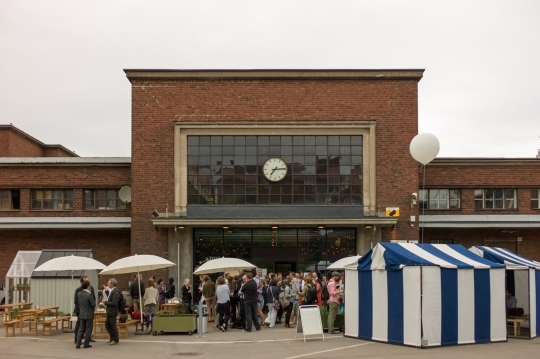 The group’s call for a new kind of cross disciplinary collaborative form of design met this mission perfectly. More information at http://1968.helsinkidesignlab.org and more images on our Flickr.